Leah Zell talks about family, career and the importance of having conviction without overconfidence. The Milken confab, which took place in Los Angeles from April 26 to 29, shined a spotlight on women this year ­ the hurdles they face in the workplace as well as the strides women and men are making in challenging the status quo and addressing gender issues. Speakers ranged from Facebook COO and Lean In author Sheryl Sandberg to PAAMCO CEO Jane Buchan to Nasdaq president Adena Friedman. They discussed impediments such as inadequate maternity leave policies, unequal wages and so-called leaky pipelines that create obstacles for female professional advancement. 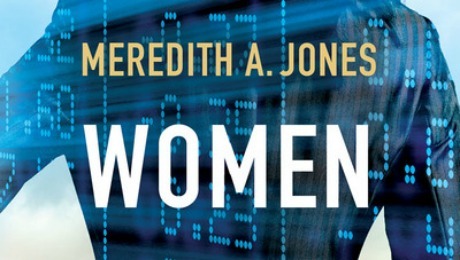 While the legal and medical fields, which were historically also male dominated, have seen an increase in female participants, women in finance remain woefully underrepresented, Meredith Jones, author of the recently published book Women of the Street: Why Female Money Managers Generate Higher Returns (and How You Can Too), tells II. For every female hedge fund manager, there are 80 male managers, she contends. There are a lot of reasons people can point to for this lack of diversity in the financial industry, Jones says, from networks to work-life balance, gender bias and a lack of desire among women to pursue business and finance careers. Its difficult to single out any one, two or even a handful of factors, she concludes. 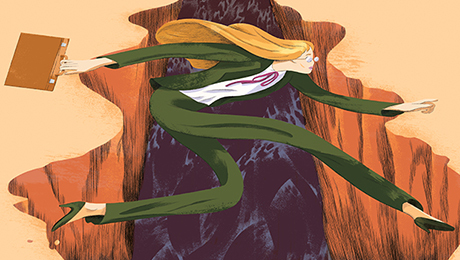 Yet Women of the Street, which profiles 12 female money managers, argues that women are superior investors to men thanks largely to seven characteristics and behavioral tendencies  from exhibiting less overconfidence to admitting investment mistakes while maintaining conviction  that distinguish female from male investors and translate into long-term profits. 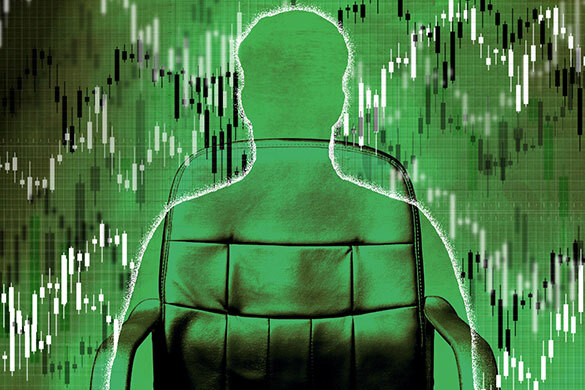 The financial industry needs more women investors to generate better returns and achieve greater diversification, reckons Jones, who founded MJ Alternative Investment Research and formerly directed alternative investment think tank Rothstein Kass Institute. Below is an excerpt from Joness Women of the Street, in which she interviews Leah Zell, founder of international small-cap stocks investment firm Lizard Investors and younger sister of billionaire real estate mogul Sam Zell. 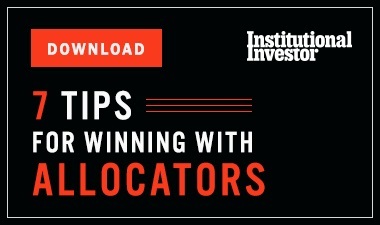 Meredith Jones: So you learn the small-cap and international equity research side of the business at Harris [Associates], and then you took the reins at [Wanger Asset Managements] Acorn [International Fund]. At the time, you had two relatively small children. What was that decision process like for you? Leah Zell: Careers have inflection points that are generally obvious only in retrospect. That was, without doubt, a major inflection point in my life and in my career. I had two small children. I had asked to reduce my hours because my children are only 26 months apart. Lets say I was busy. But then I found that I was in the mommy track and that I was no longer being considered for promotions. I was no longer in the bonus pool. I found this to be very demoralizing, so the decision that I faced was either to retire or to go back full time and grab the brass ring. I was in my early 40s. It was very clear to me that I either was going to make a career for myself or not. From an age perspective, I had my children fairly late. I didnt have the luxury of waiting until they were both in school full time to go back because I would have been too old. So I just took a deep breath and made the decision to go back to work full time and to make it work. MJ: Because the alternative was just not acceptable? LZ: Let me give you another sort of anecdote: After we sold the business  Im fast-forwarding here  I had an employment contract and noncompete contract. There was a small window before I started Lizard Investors, and both of my children came to me after about a year and said, Mommy, will you please go back to work? You are driving all of us crazy. Work makes me happy, and I maybe knew that at that first juncture that if I didnt make the decision to go full time, it would have long-term consequences that I would not be able to undo. MJ: What were your days like once you made the decision to go back full time, take the reins at Acorn, and you had a two- and four-year-old at home? LZ: I was blessed, because at that point I was a partner of the business, and that meant that I had a certain degree of freedom. Theres a big difference between investment banking and asset management: whether you control your time or not. Anne-Marie Slaughter addressed this when she wrote her article for Atlantic Monthly [Why Women Still Cant Have It All]. I had more control over my time and could organize it, and I was also in a position that gave me flexibility, and thats really critical. Ive always been an investor, and certainly at Acorn we had a 24/7 trading desk, so the trading was done by the people who stayed up all night, and thankfully, it wasnt me, except when I got really crazy. I worked a lot after my kids went to bed. Im a night owl, so it would not be unusual for me to work until the European market opened. I also did a lot of traveling, but I would try very hard to take the last flight out on Sunday night so I could put my kids to bed. I would always try to be back by Friday afternoon. I knew every single flight schedule to Europe by heart. I knew exactly where I could fly to get the last flight out from Chicago. MJ: How do you keep from being overconfident? LZ: This is a business where youre always making decisions on insufficient information. You have to be realistic about the fact that at any juncture you could be wrong. Theres this very fine line. Conviction and hubris  theyre really on the same spectrum. You need to have enough conviction based on the work youve done, but not so much conviction that youre not willing to change your mind when theres contrary information. Sometimes you dont know why youre wrong; you just know youre wrong. We all make errors. When you catch a mistake in this case, you deal with it when its a small mistake. You dont let it become a big mistake. MJ: Finally, what advice do you wish you had been given at the start of your career? LZ: I think being your own person is really, really important in this profession. This is not a profession where you follow the crowd. In order to do that, you have to have confidence in yourself and cant let others dictate your self-worth. I would say the same thing about anyone who wants to be an entrepreneur. Having confidence in yourself and believing in yourself is mandatory. That doesnt mean that you dont have down periods, and it doesnt mean that you dont have times when you question yourself, but you have to be your own mirror; that is the first thing I would say. The second thing I would say is that no career follows a straight path. There are always going to be ups and downs. You have to ride it, learn from it, and adapt. Turn early and look down the course. Know where you want to go, but then get there with flexibility, integrity, intellectual honesty and authenticity. Ive also been privileged to have known many, many successful people. The ones I admire the most are the ones who are still challenging themselves and still learning. Another way of saying it is, you need your own internal concept of excellence. You need to pursue excellence, and probably part and parcel with that, you need a very good BS meter. Follow Georgina Hurst on Twitter at @ghurst_iimag.